Link building is hard. There’s no way to sugar coat it. But if there’s one SEO strategy that generates a higher chance of success than all others, it’s resource page link building. Unlike other methods of link building, resource pages are easy to find and page owners want to link out to you. After all, what good is a resource page without any links? Assuming your content is high quality, you’re actually doing them a favour by providing your resource. In this post, I’m going to walk you through step by step on how to build high quality backlinks from resource pages. A resource page is simply a page on a website that lists helpful links and resource for a particular topic. 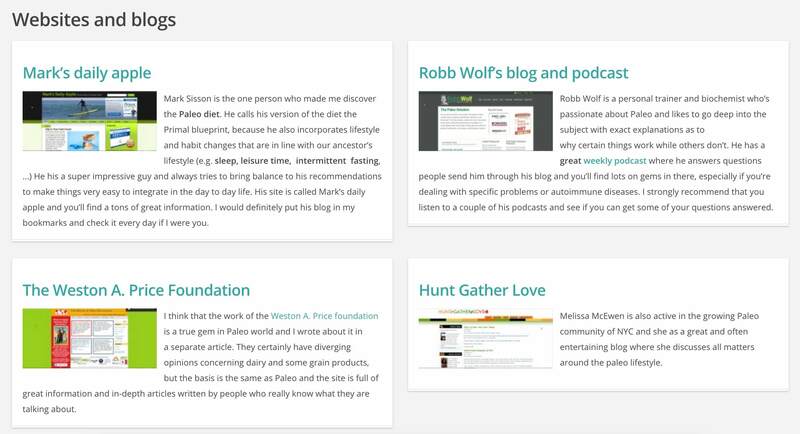 For example, a food blog about Paleo might have a resource page dedicated to Paleo recipes. Resource page link building is simply the process of getting your site included on the page as one of the resources. The owner of the website might have no idea your resource exists so it’s your job to let them know! So what’s so good about building links to resource pages? Well for starters, there’s the benefit of having more links pointing to your website. This is always a good thing (unless of course they’re shady links). On a more advanced level, resource pages tend to be seen as credible. With credibility, there’s a greater likelihood of people seeing your link and clicking on it. Why are they credible? There’s two reasons. First, resource pages exist to be helpful, not to sell. Since you typically won’t find a buy now button on them, people are more inclined to trust the page and the links on them (although some resource pages may contain affiliate links). Second, resource pages are often created by respected or reputable sources. 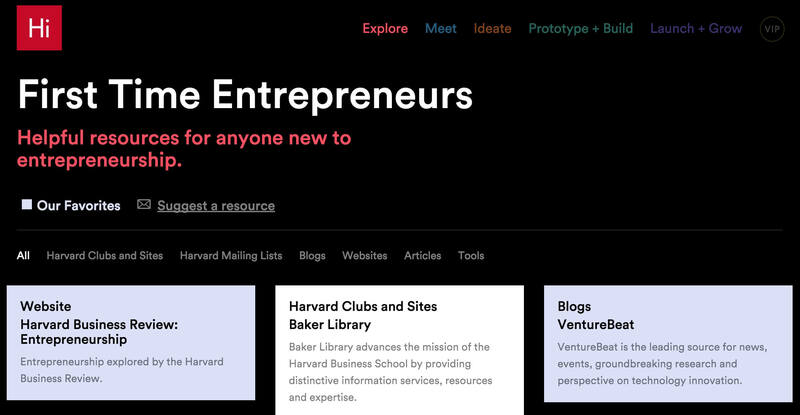 Look no further than Harvard University’s helpful resources for anyone new to entrepreneurship. Naturally, this resource page features big names like Fast Company and Hacker News and you’re highly unlikely to obtain a link from them. But, you’ll soon realize that there are plenty of other University pages linking to much lesser-known sites. So now that you know what resource page linking building is all about, you’re ready to dive in. 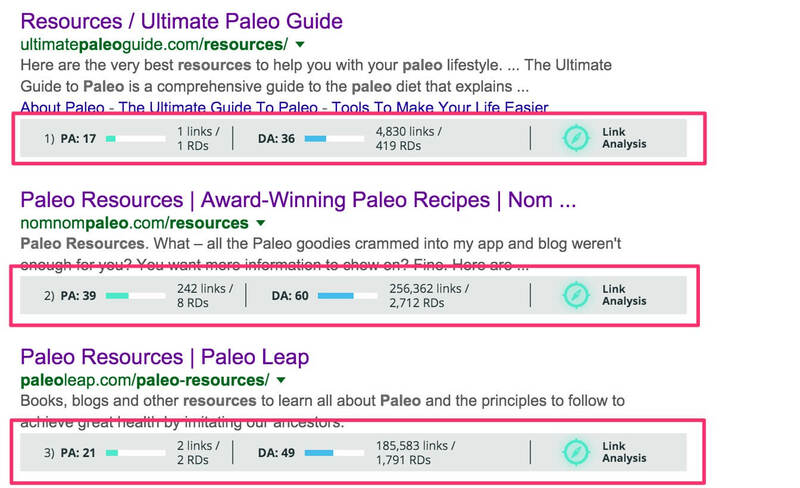 Here’s our easy 3 step process for resource page link building. The easiest and most direct way to find resource pages is through a simple Google search. As we mentioned in the intro, resource pages are quite easy to find which is what makes them so great. As you perform your searches, there are a variety of search combinations you can use. With these search strings, you will find pages containing the words resources and links along with your keyword. 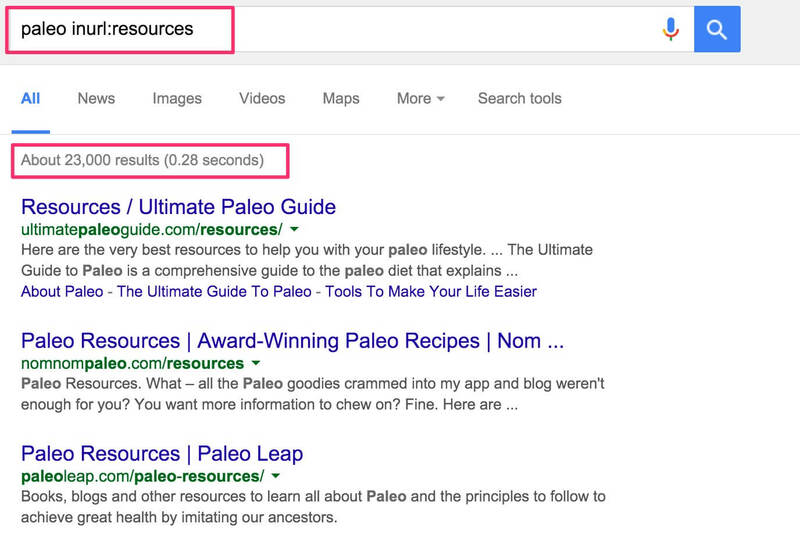 Google has now returned a variety of pages containing Paleo resources. Here’s an excerpt from one of the pages. Now you’ll notice from the first screenshot that over 5 million results turned up! Obviously, you won’t have time to sift through 5 million search results. So in step 2, we’re going to show you how to narrow down the results. Before we do that, I’m going to provide you with additional search queries that are even more specific. 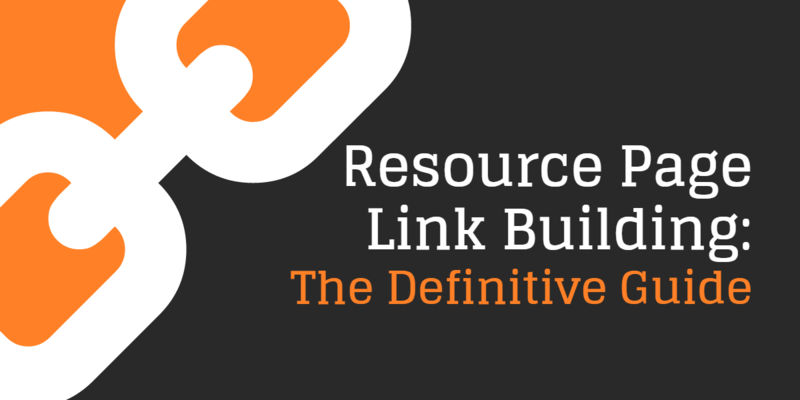 You’ll notice that many resource pages contain the words “links” and “resources” in the title and the URL. With the following search strings, you can zero in on search results that only contain these words in the title or url. Notice that when we use the inurl operator, Google has returned 23,000 results instead of 5 million. Although the first several search results are likely to be similar (if not the same), you’ll notice that they’ll start to vary as you continue down the pages. While somewhat controversial, many SEO experts agree that backlinks from an edu domain carry more weight than a regular domain. Use these search strings to find high authority edu pages. In certain cases, you may find that your keyword is too specific. This can happen if you’re in a very obscure niche that wouldn’t have dedicated resource pages for your topic. 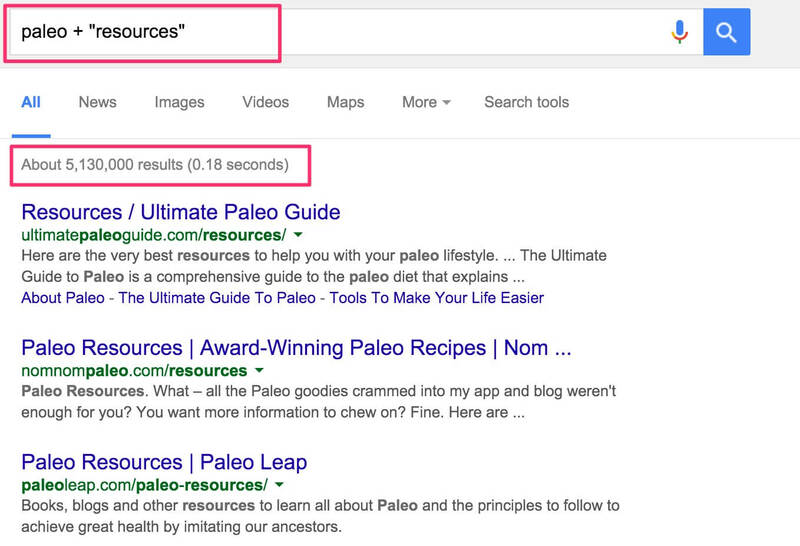 If you find yourself in this situation, use the “~” operator to find resource pages related to your keyword. If you want to get even more specific, try some of these search modifiers. As you perform the various searches outlined above, you’ll likely find thousands of resource pages. Your task now is to find those that are the most relevant, reputable and of highest quality. To make that determination, focus first on the page authority then on the domain authority. The page authority indicates how much authority that specific resource page has. The higher the page authority, the more “link juice” that will get passed down to your web page. No need to guess about which websites are good or bad in terms of domain authority. By installing the MozBar, we can see all the metrics we need right on the search results page. 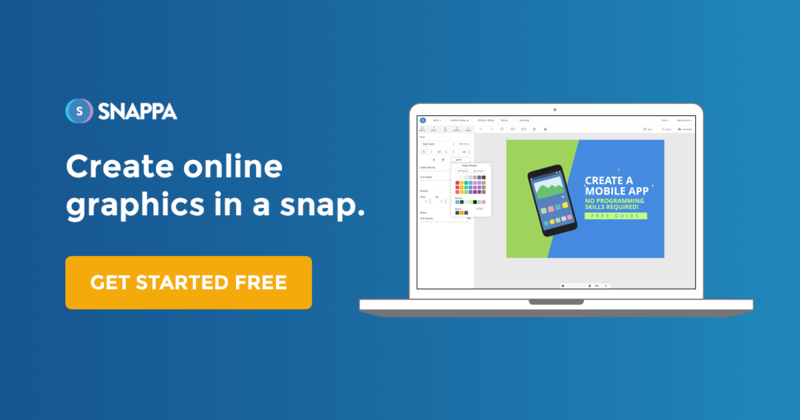 Using this data, you can concentrate on the most valuable pages and spend less time on those with low page authority (PA) and domain authority (DA). In some cases, resource pages will actually have a line encouraging you to email them with relevant resources to add. They may even have a form on the page itself to submit resources. Looking back at the Harvard resource page, you’ll notice there’s a link on the page itself encouraging people to suggest new resources. 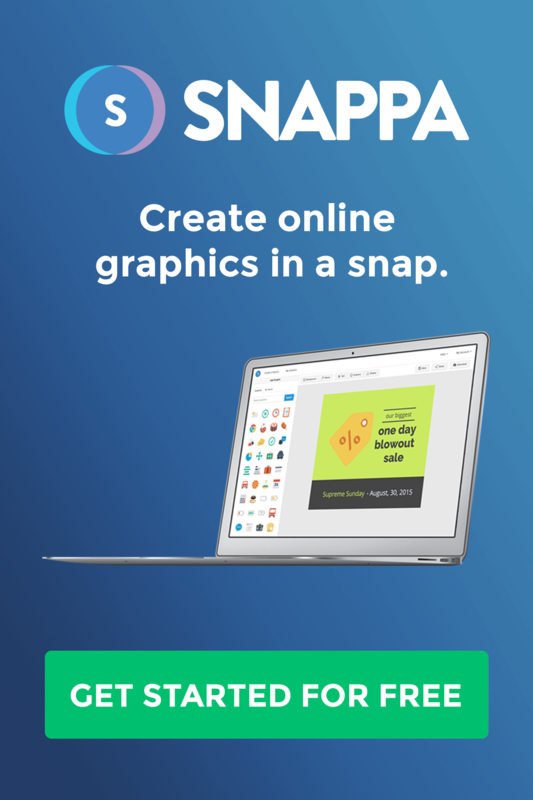 Below is another example from Startup Stash – a curated directory of resources & tools to help you build your startup. If you don’t see anything like this, have no fear. It just means you’ll need to work a little bit harder to find an email (but not that much harder). When it comes time to reach out, here are some recommendations. This may sound obvious, but you need to understand the kinds of links that are already on the resource page that you’re contacting. Is your content relevant to that page’s audience? Make sure there’s some precedent for your kind of site being linked to (or at least an indication that you could get a link). If, for example, a resource page only links to published scientific papers in scholarly journals, then there’s a good chance they won’t link to your startup’s blog. Depending on the resource page, you may want to pitch content from one specific section of your site. For example, if you’re a Paleo blog and you’re reaching out to a resource page about Paleo recipes, it would be much better to send them to a page on your site dedicated to recipes rather than sending them to your home page. Let’s pretend for a second that the Harvard resource page didn’t have a link to suggest resources. If that was the case, you wouldn’t just reach out to anyone at Harvard.edu. You’d need to do some detective work and find the right person to contact about that particular resource page. Using this same example, you’d see that this page was provided by the Harvard Innovation Lab. Knowing this, you could then research who the Innovation Lab’s webmaster was – and send them an email requesting inclusion on the resource page. When possible, always send the email to someone directly. When you’re confident that your resource page is a good fit, and you’ve found the right person to contact, go ahead and send a friendly polite request. You can try saying something like this. I was doing some research on [topic] and noticed that you have [this killer resource page on your site]. Awesome job! Since you’re clearly an authority on the subject, I thought you’d be interested in checking out my article on [topic]. It’s super in-depth and I think it would make an awesome addition to your resource page. Keep in mind that if you’re reaching out to an influencer, you should engage with them first. The more rapport you’ve built, the easier it will be to get a link. But in most cases, you’ll just need to send an email. As you can see, resource page linking building is a fantastic way to build quality backlinks to your website or content. Due to the fact they’re easy to find and there’s a higher probability of success, this strategy is a true no brainer.